Baby it’s cold outside! What do you say we have some fun and work up a couple fab boot toppers here on AskSuzanneBell.com? 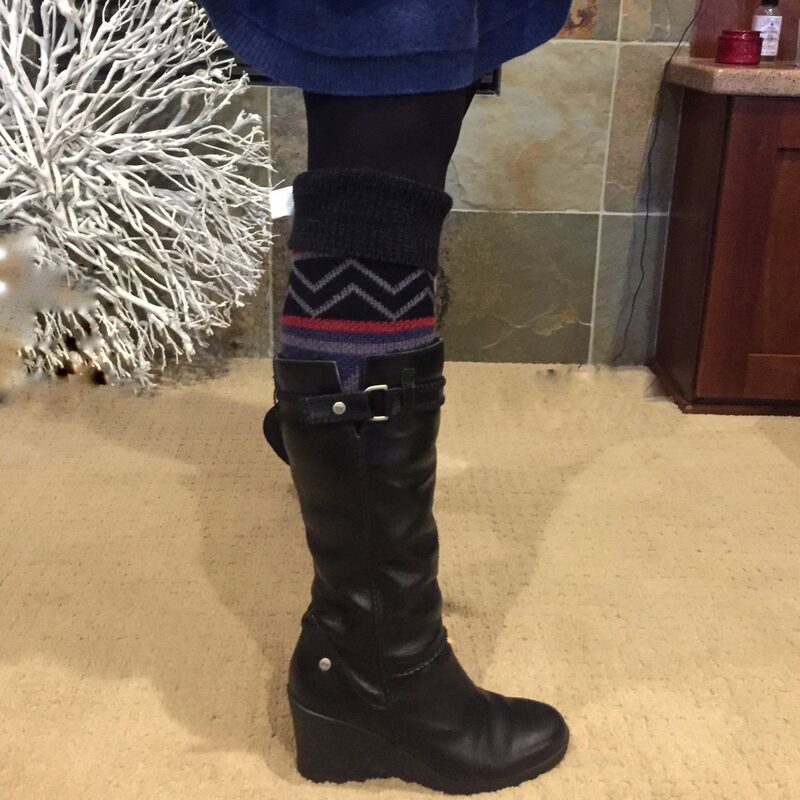 With a few months of cold sill ahead I like to keep my wardrobe interesting, and boot toppers add a little spice and warmth to my winter outfits. Sure, you can go pick up a new pair anywhere from Etsy to Kohls, Sundance, and Free People, but isn’t it a bit more rewarding and green to get your crafty side on and make a pair yourself? For those of us who don’t knit or crochet, today’s toppers are for you! Like scarves, boot toppers add warmth and style. 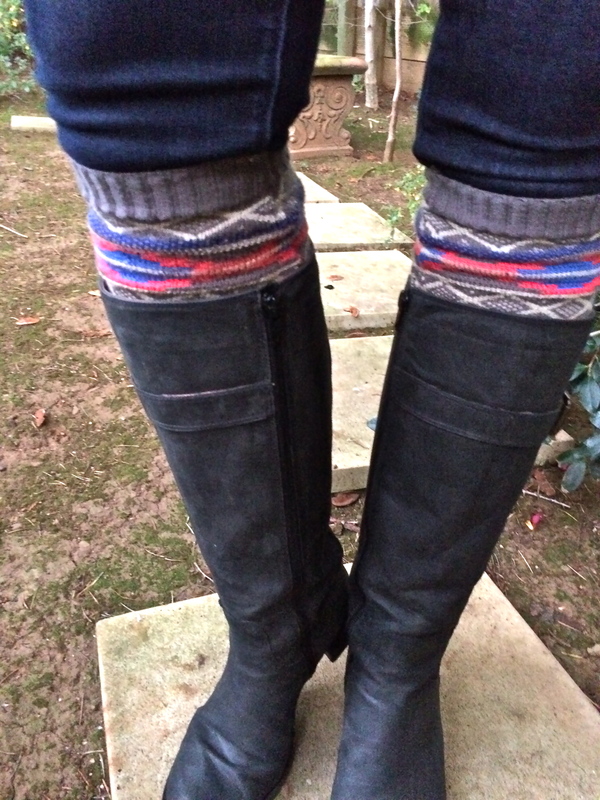 Have ever tried to zip up your boots with big ‘ol chunky socks in them? Boot toppers will give you the look of chunky socks and balance out the leg, when wearing thicker sweaters and coats on top. 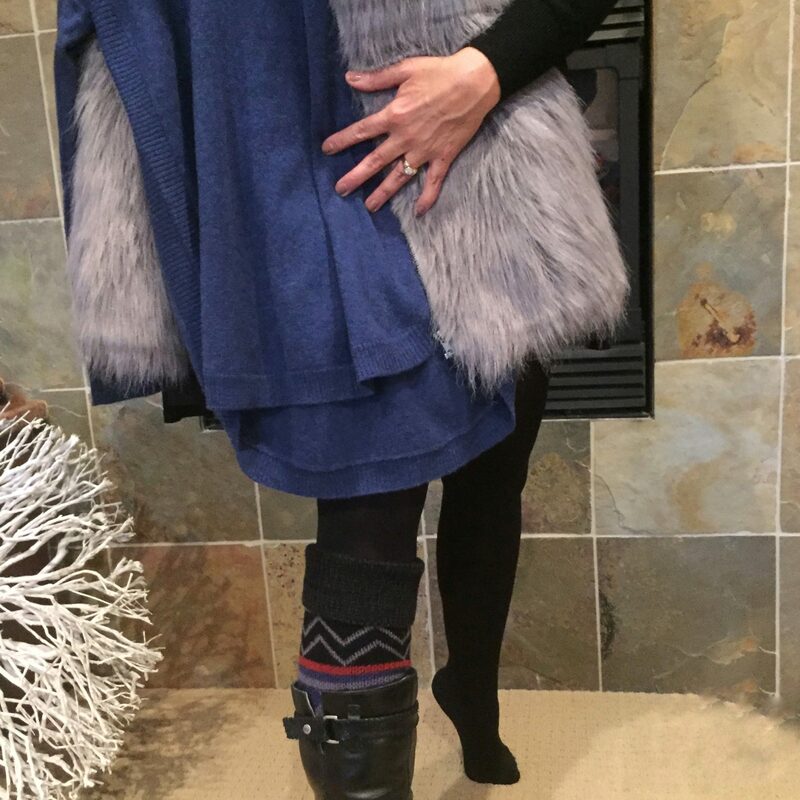 Adding a boot topper instantly elevates your wintertime look! Did you know you can make your own toppers from recycled clothing in no time at all? 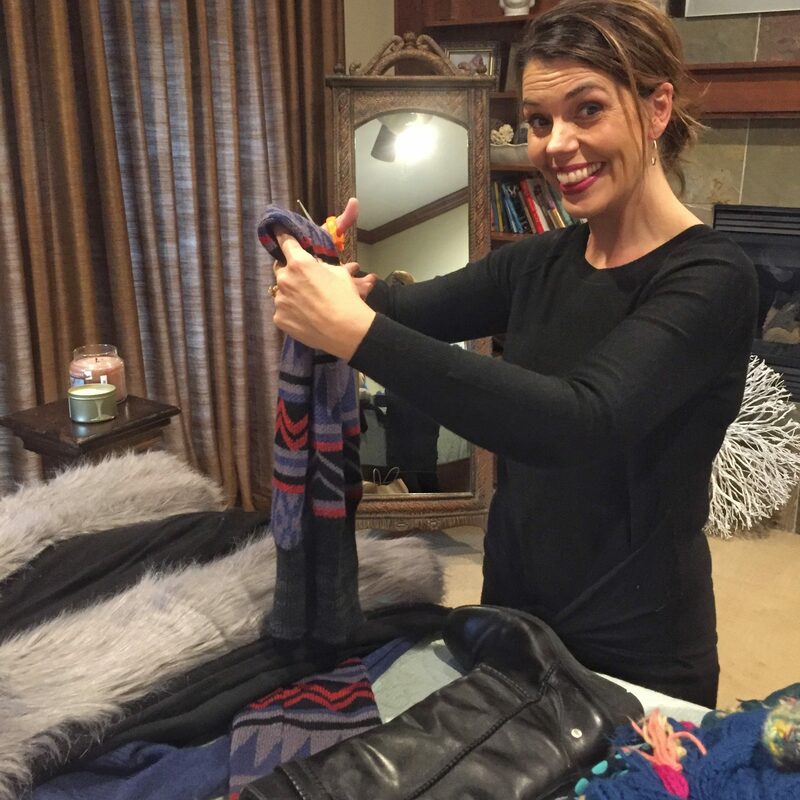 It’s easy peasy and I have two options for you today; one involves re-purposing an old sweater, the second method uses a pair of old socks or a pair of unused leg warmers. I get how one may not want to cut the sleeves off a sweater, no matter how old it is. That’s when you pop on over to your local thrift store. I picked up this sweater for $7.75 in about 10 minutes. 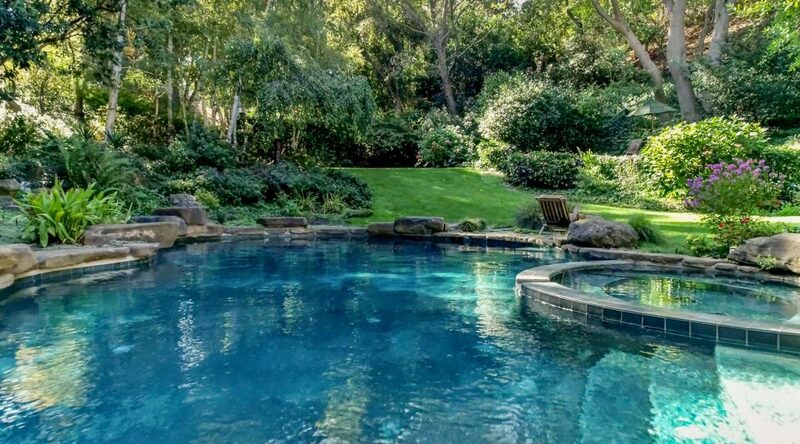 A bit pricey, I am sure you can find one for less. 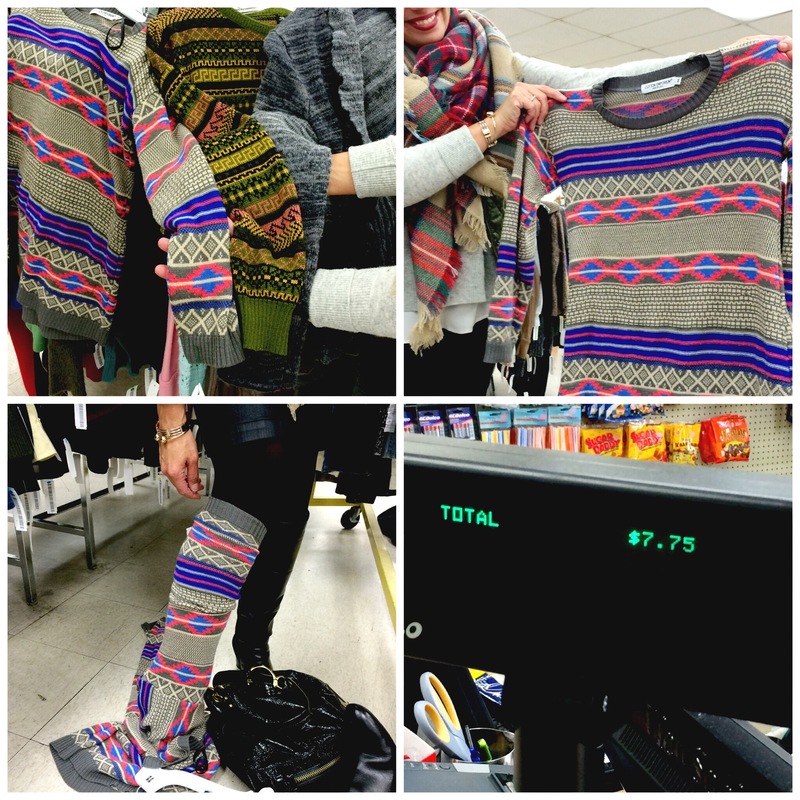 Scan the sweaters for interesting arms – that’s all you need to be concerned with. 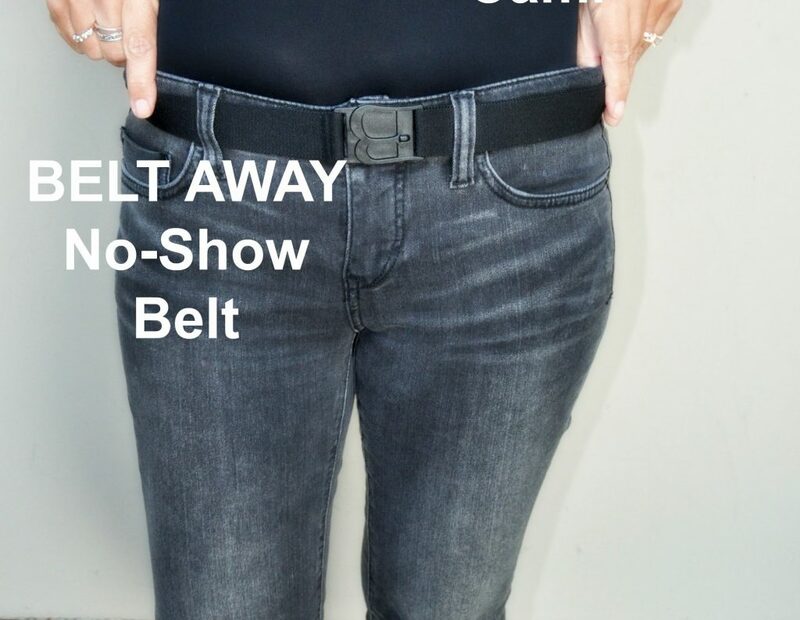 Try the arm on over your leg to insure the arm is wide enough. Yes, people working in the store may give you funny looks, pay them no mind – you re on a mission! After selecting the pattern I thought would work back with colors in my closet, I was out the door! 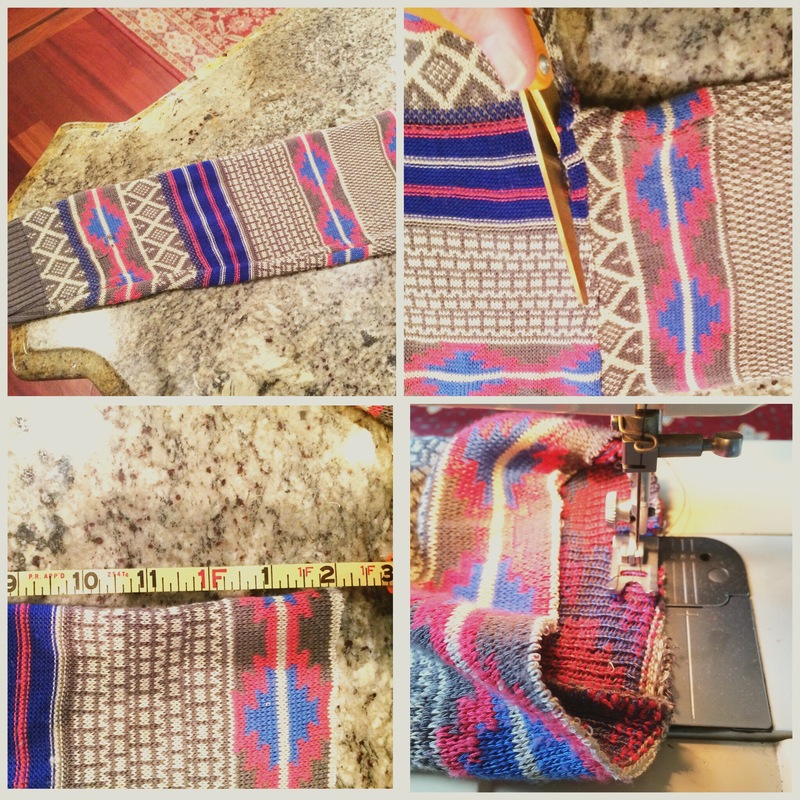 The cuff of the sweater is already finished off nicely for you, it is what sticks out of the top of your boot. Hem the raw edge using a sewing machine zig-zag stitch to prevent unraveling. Don’t own a needle and thread? Don’t hem it. It is inside your boot anyway so if it unravels a bit, no one is going to see it. Go out and rock your boots with a little more sass! The top of the old sock is what sticks out of your boot. Cut the length based how much knit you want sticking out of your boot. I choose 13″ inches. There is no science to the number 13, it just looked right and gave me enough room to scrunch them. When in doubt go longer, you can always shorten later. Lazy Girl 101 Method..don’t hem ’em Yep that’s right. I didn’t hem mine and they are still going strong at 2 years. Do they shed a little bit of yarn here and there, sure, but whatever. I don’t wash them because they don’t get dirty, and the raw edge is tucked into my boot. 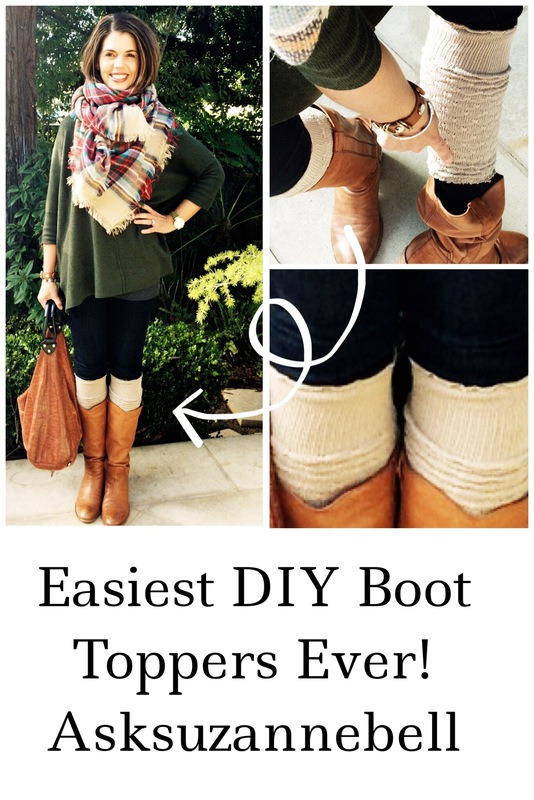 Look, if you need a boot topper in a flash, start to finish you are done in under 5 minutes! Just cut them in half, hem as above! Do you like to wear Boot Toppers? 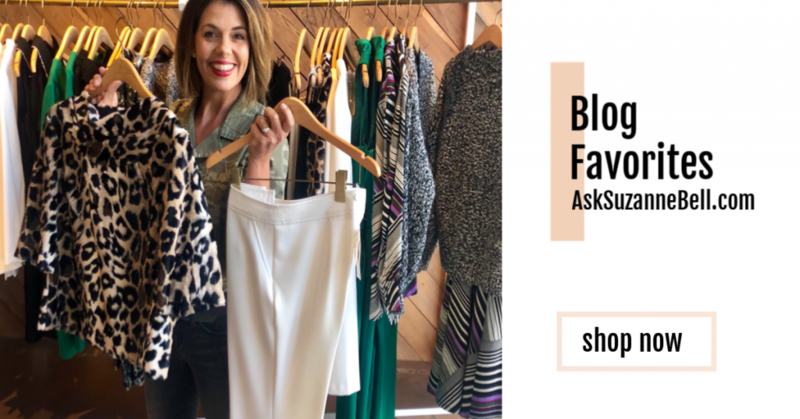 Have you ever made a pair yourself from re-purposed items in your closet? Drop me a line down below. I’d love to hear what you think, have seen or have tried! OMG Suzanne where do you get all of these fantastic tips??? How easy to do with socks you already own. Hi Pamela! Thanks for stopping by! You crack me up! I don’t know..you know these things just kind of come to me! In this case, I was helping my girlfriend clean her closet and we came across these beautiful leg warmers that she no longer wanted. THey were REALLY long so I thought, hey, lets cut them in half and we can each have a pair! 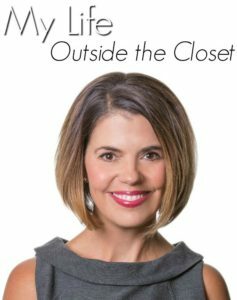 I’m always looking at my closet in a new way…hope to bring more ideas your way in the New Year! Have a wonderful trip and Holiday! i am very tempted to try this. I have been intrigued by boot toppers but concerned they may not work well for me.